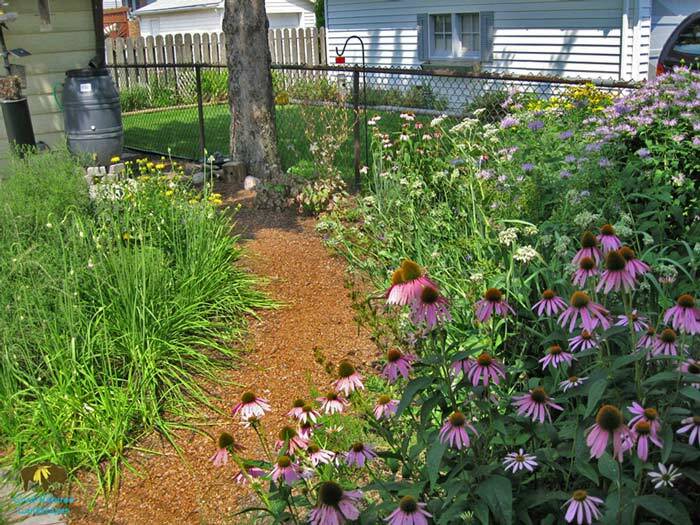 Native plants chosen for bird habitat, as well as the a trickling birdbath and homeowner’s bird feeders. 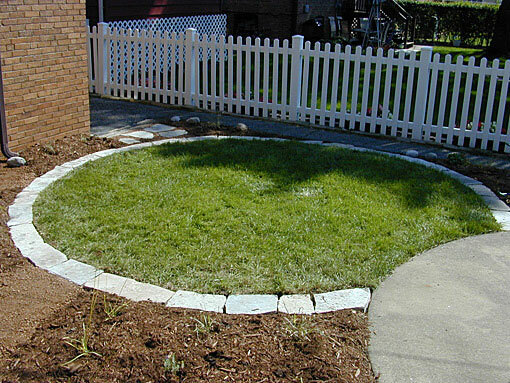 A smaller area of lawn lined in natural stone allows for easy mowing. Nearby rain barrel fill the birdbath and waters the vegetable garden (not pictured). Paths constructed out of permeable gravel and recycled materials. Homeowners commented the yard actually feels larger. Same garden as above photo but right after installation. Three years later, and wow! Small circular lawn area mirroring circular concreate patio. 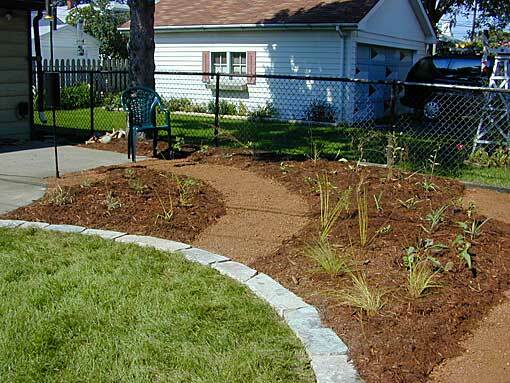 Homeowner’s stone recycled for pathway.